Junior club Belfast Celtic Young Men have revealed their own Irish League dreams and spoken of their fear over the repercussions of another west Belfast side's proposed name change. Bluefin Sport Premier Intermediate League club Sport and Leisure Swifts announced their intention to change their name to Belfast Celtic Football Club last month, having taken the decision at the club's AGM. The Irish FA has included the proposal in their schedule for tonight's board meeting and are expected to grant or deny the request. As per the IFA's Articles of Association, whatever decision the board comes to will be final. Since the proposal was announced, the Belfast Celtic Society, set up to 'protect and preserve' the history of the original Belfast Celtic, have denied links to the project and outlined concerns regarding the move. Now Belfast Celtic Young Men have revealed fears that their own prospects could be damaged. The club, whose senior men's team won last year's South Antrim League Premier Division title, was set up back in 2013. 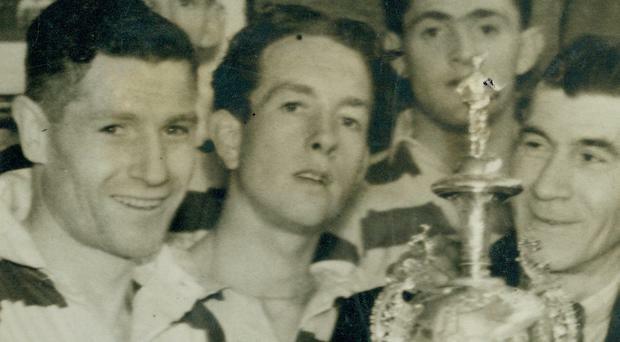 Co-founder Ryan Whelan has spoken out about his club's links with the Belfast Celtic Society and their ambitions to bring the famous Belfast Celtic name back to the top tier of Irish League football. It has been missing since the 'Grand Old Team' was dissolved in 1949 having won 14 Irish League titles and eight Irish Cups. "It feels likes a kick in the teeth, to be honest," BCYM co-founder Whelan said of Sport and Leisure Swifts' July announcement. "Our plan is to be up there in Irish League football within 20 years and, while it is not their aim to get us to change our name, we're concerned that Sport and Leisure's proposal could hurt us." There are precedents of two Irish FA registered clubs with similarly related names, such as Bangor FC and Bangor Young Men FC. However, Whelan feels uncertainty over what S&L's proposal could mean for his own club. "We are a community club, we're a not-for-profit organisation and we're in the process of becoming a charity," he said. "We don't have an owner and we don't have the resources to go out and buy our name, so in that way we're pretty much open." Whelan's club have grown over the course of their short five-year history to a total of 280 members, fielding 14 teams from 2014s juniors to two senior men's teams alongside Under-9, Under-11 and senior ladies sides. The historic Belfast Celtic name is still held in the highest regard, not just in the west Belfast area, but across football. Whelan explained why his club have treated carrying it with the utmost respect. "The first thing we did was speak to the Society," he said. "We wanted to bring the name back to the area but we don't want to be known for all of Belfast Celtic's achievements. We wanted to have our own identity and we've done that, adding the 'Young Men' to our name. "Since then, the club and the Society have both supported each other over the last five years." At the end of last month, Sport and Leisure Swifts confirmed that they are in the process of formalising the name change. "We are fully aware of the sensitivities of bringing such an iconic club back to life, which is why it has always been our intention to involve interested parties (in shaping) the future of our club as soon as we get formal approval to change our name," the statement read. Should the Irish FA grant Sport and Leisure Swifts' proposal, it is expected the name change would not come into effect until next season.